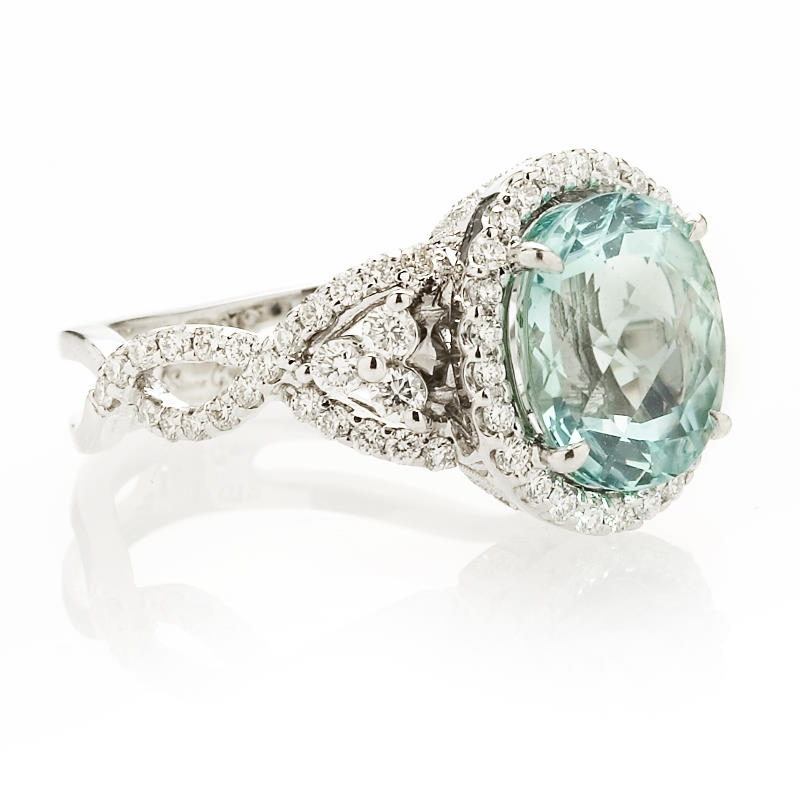 Diamond Details: Round brilliant cut white diamonds of G-H color, SI1 clarity, weighing .70 carat total. 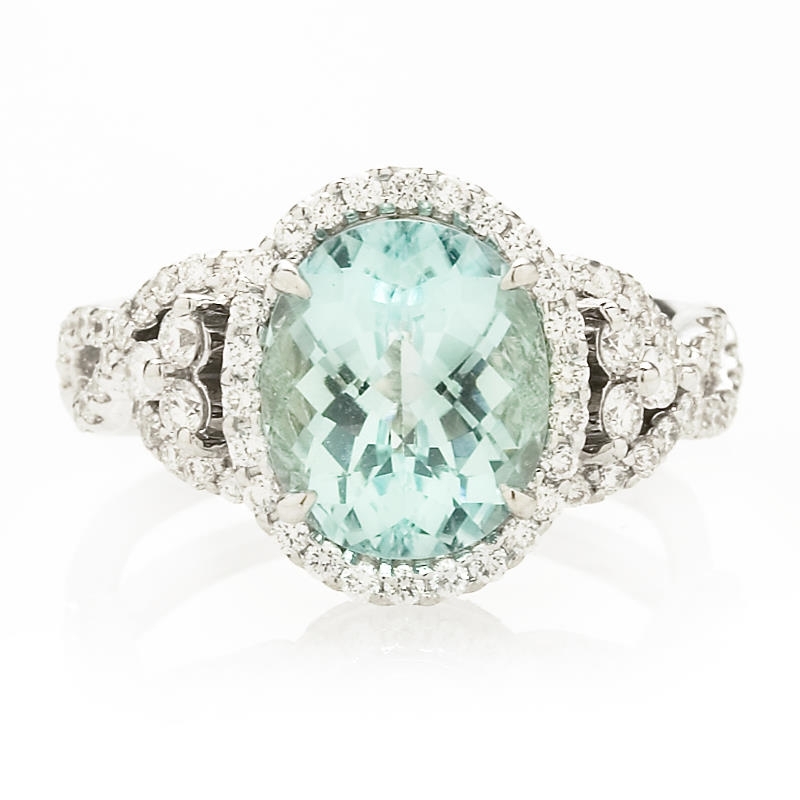 Gemstone Details: 1 very fine oval cut paraiba tourmaline stone, of excellent hue and even color distribution. Ring Details: Simon G 18k white gold with antique style milgrain edges. Measurements: Size 6.5 and 13.5mm at the widest point. Simon G rings can be ordered in any finger size. Please allow 3-4 weeks for delivery. 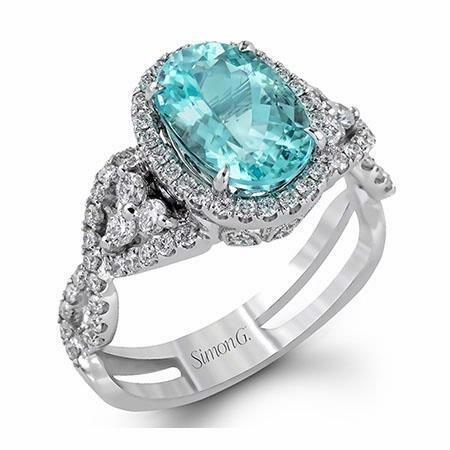 This extraordinary Simon G antique style 18k white gold ring, features round brilliant cut white diamonds of G-H color, SI1 clarity, weighing .70 carat total, with a beautiful center oval cut paraiba tourmaline, of excellent hue and even color distribution. Detailed milgrain edges create a lovely antique style effect. 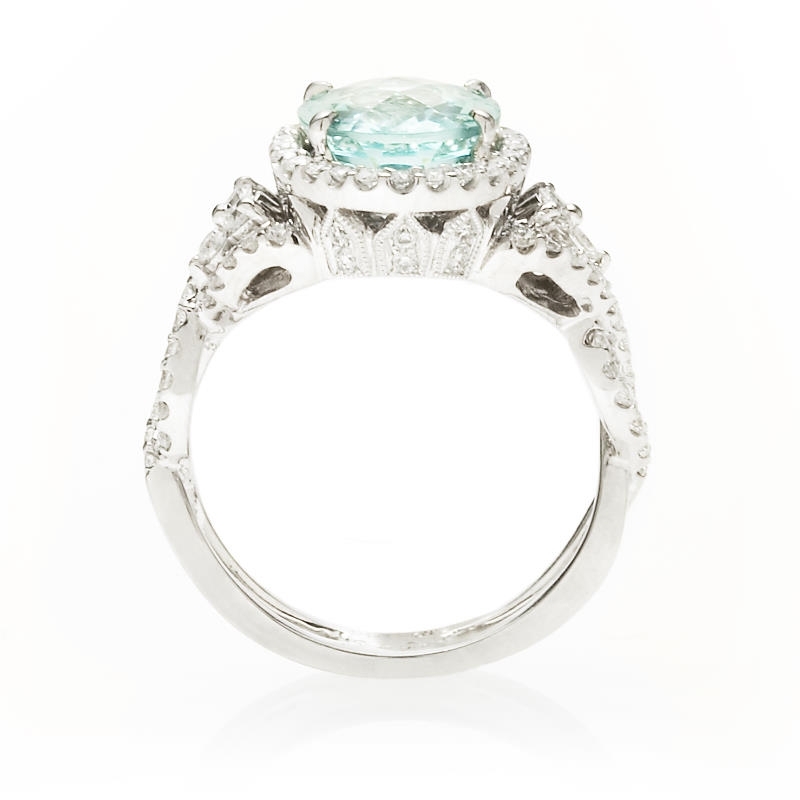 This ring is a size 6.5 and measures 13.5mm at the widest point. Simon G rings can be ordered in any finger size. Please allow 3-4 weeks for delivery. Please call for pricing 1-800-790-6980 or 1-212-302-2863.